Sakarya Arboriculture and Greenhouse Inc. Co. The company produce high quality and diverse ornamental plant species in several provinces of Turkey which have pionering statue in the ornamental plant sector. The company, in total 2500 acres of fields; produces big decidious & evergreen trees and special formed plants in Sakarya/city center; decidious trees and cold-resist conifers in Sakarya/Pamukova; flowering plants and tropic plants in İzmir/Ödemiş. In all our nurseries and greenhouses, our company produce plant material by using appropriate technology and equipments. Sakarya Botanic Inc. Co. Sakarya Botanic Inc. Co. is one of group company works on potting, preparing, exporting, sales and marketing of plants which produced in field of Sakarya Arboriculture and Greenhouse Inc. Co.). Sakarya Botanik has an developed nursery occupating of 270 acres of space. The investment is the biggest and high technologic nursery of Turkey. As a 12.500m2 greenhouses, 1.500 m2 closed potting area, 6.500m2 shadow field, automatic irrigation system, plant protection measures etc. all kinds of modern equipment are exist with in the company. 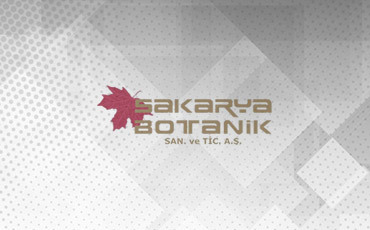 Sakarya Botanik continues to be the largest plant exporter company of Turkey, with yearly above 2.000.000 pieces of potted plants circulating from production to sale in nursery. Marmara Arboriculture and Greenhouse Inc. Co. In 1996, the company entered into contracting, in a short period, by doing successful works, the company has an important share and place in ornamental plant sector of Turkey. Marmara Fidancılık has established Pamukova Nursery where applied modern technology in plant production in 1999. Continues to be the driving force of the sector in Turkey by managing large-scale projects in home and abroad. Marmara Fidancılık company of SMS Marmara Group, also incorporating lots of services as; landscape design, application and maintenance, irrigation services and cellular filling systems etc. Marsa Structure Landscaping Construction Limited Trade Company was manufactured in 2012 a company belonging to (SMS Marmara Group) as a locomotive firm. Mainly working on Landscaping and contracting in the public and private sectors. Marmara international L.L.C. is established in Dubai (United Arab Emirares), won the right to host the World Expo in Dubai in 2020. This will be the first time that the World Expo is staged in the Middle East. Dubai Expo 2020 is expected to attract 25 million visitors, 70 per cent of which will be from overseas. According to 2020 Expo, Dubai became a center of investment and construction will be increased day by day until expo starts.